So remember my review of the LeapPad2? Did it make you want one a little bit? (Or a lot?) I personally have to say that I think they are worth the cost. Weeks later, after receiving this educational toy, my two-year-old can write his entire alphabet–with a pen and paper. And I have to say it is because of the game on the LeapPad2 that helps kids learn to write letters. Anyway, if a LeapPad2 isn’t in the budget for you right now, you have a chance to win one here! Today I am giving away a LeapPad2! Leave a comment below about why you’d love a Leappad2! Share this giveaway on Facebook and leave a comment back here! This giveaway will end Monday, Sept 3rd at midnight. I’d love one of these for my 3 year old daughter. She needs to be mentally engaged constantly or she gets whiney because she’s bored. I think this would be fantastic to keep her busy! I have 3 kids that are enamored with our iPad- it would be great to give them a “pad” of their own. Thanks for the generous giveaway! I’d love one to keep my toddler entertained while waiting at activities for his older siblings…. I would love to give this to my nephews. I always like to sneak in fun educational gifts and I know they would love this. I am a bit worried about the development of my older nephew so maybe this could really benefit him. I would love to win this for my girls! They like to steal my kindle so this would be perfect for them. And hopefully keep them occupied while I feed the newborn! This would be a great educational toy for my son! Oh my goodness! My daughter has been asking for a LeapPad for almost a year now and we’ve been telling her she’d have to ask Santa this year. If we could win this for her, it would be so awesome! Thanks for the great giveaway! I’d love this for my little girl! She’s a little young right now at 15 months, but she’s picking up so much every single day – she’s like a little sponge! It’d be great to have one of these to help keep her entertained! My kids love their Tag Jr so I’m sure they would love a Leap Pad 2 as a next step! My nephew didn’t get into a preschool this year, so my crazy busy sister is attempting to home school him. I was thinking about getting him a leappad for his birthday to help him (and her). So if I won one, it would be completely awesome. These look so fun! My daughter has the leapster explorer and of course and her and my boys fight over it. This would sold some of the squabbles and be fun for everyone. Thanks for the chance to win! I love leap pad and my kids do too. We have an alphabet movie that has really helped my kids, and this would be incredible!! I’m a big fan of educational toys and love to incorporate them in all the toys I purchase for my two year old. I feel it has helped him grow and lean so much at such a young age. My four-year-old loves his Leapfrog doodle pad thingie, and he also loves my smart phone, so I’m sure he’d ADORE this! I have a 2nd grader & a preschooler, so this would be perfect for us! They love learning games 🙂 Great giveaway! I have a son starting preschool soon who hates practicing his writing but loves gadgets. I know this would help him in a fun way that he would enjoy! I would love this and so would my boys. It would also stop them from stealing my tablet. my daughter is just goingin to kindergarten. she would LOVE it!. Great giveaway! I have twin girls that would LOVE this!!!! This would be fantastic to have and keep my kids learning while on vacation or when school is out. Fun way to learn! I have 3 boys, 2 of which are at school. So it would be great to entertain my 3 year old while we wait for carpool. This would be a great tool for my son who has some trouble with his fine motor skills. It would be wonderful to use for writing practice. I’d love this for my almost 2 year old to keep her occupied (and learning!) in the car. I would love this for my two boys who are on the spectrum. They respond so well to these type of games and have learned a ton using iPads but I would love a child toy for them that they can take along. I would love this so my daughter will stay off my iPad!!! I would love one!! I have a 15-month-old and a 6-year-old that would both get great use out of it in the near future. My 6-year-old would feel like the big man if he could play on something that looks like mom’s tablet. Way more educational than his DS, too. My 3 yr old daughter loves my Kindle. I would love to have a leap pad for her so that she can enjoy the little computer as she calls it and learn at the same time. I would love to win a leap pad 2, for my youngest who is sad he’s not old enough to go to school! I would love to win one of these, my 4 year old son Alex is getting ready to start preschool and I’m sure this will help him learn his letters and other skills he’ll need to advance in school! It’s sure to get lots of use because he has younger twin sisters who will get it when he grows out of it!! Hope we win!! Oh wow. Would LOVE to do something like this for C or E’s birthdays coming up! Obviously not in our budget right now, but the biggest obstacle I have with C is getting him to be interested in practicing writing his letters. It’s holding him back in some ways, because he’s starting to read words on his own and has great grasp of phonetics. Also, my kids are SOOOOOOPER into electronics and plain pencil and paper are so boring……hm, maybe I’ll have to start checking for Black Friday sales now…. Shared this on Facebook! Fingers crossed that we win!! this would be wonderful for the youngest 2 of my 5 kiddos. it would be great for my 4 year old as she loves the games her siblings play but she doesn’t quite get them yet. and my little rascal of a 3 year old boy this would be hopefully less destructable than any other handheld device he could get his hands on! thanks for the chance!!! I just know that my oldest would love one because she is really getting into technology and playing and learning so this is a nice mix! I have my grandson living with me and any help to entertain him and it being educational would be wonderful !! Ha ha…I’m in the “I’d love to get MY electronics (iPod, iPad, etc.) back from the kids” camp. My daughter would turn cartwheels if we won this! My two year old would absolutely love this! She is an eager learner and this would make the perfect Christmas present for her! Thanks for the chance to win! I would love a LeapPad2 for my toddler! He is fascinated with my laptop and I think he would really enjoy having one of his own to learn off of. This would be a great item for my toddler! My daughter has figured out how my iPhone works – but I can’t let her play with it in case she manages to call someone! Her birthday is coming up in October and it would be the perfect gift!! I would love this for my 3 year old’s birthday that is coming up …. soon to be four! He doesn’t speak clearly and we have him in speech therapy. This would be a great tool to use to help jump start him in learning his letters for Kindergarten. 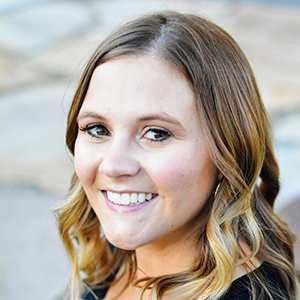 You have a fabulous blog! Love reading your posts. Thanks for the chance to win! I would love this for my son! He just started Pre-school and is so excited to learn new things- this would be perfect! Thanks for the giveaway! I have a 3 yr old that loves learning. We are trying to find new fun ways of learning. He would love this so much. My boys would LOVE this!! They love any technology stuff! This would be a great fun way for my four year old to practice writing his letters and learning to print them in lower case. He knows all the upper case, just not the lower case. And of course all the fun educational games for both him and his 6 year old sister. Thanks for the chance! My 3 year old grandson would like one of these. He likes anything computer like. We are also teaching him to write his letters. Thank you. I think this might be the solution to a problem in our house—our 2 1/2 yr old is having a speech delay. He originally spoke Tongan and English, now its hard to get him to say anything in either language. We’re pulling our hair out & getting involved in county programs, but maybe the answer is something more simple? Like teaching the alphabet with a leap pad 2 & just starting over from scratch? I have three little grandsons and this would be perfect for when they come to visit!! This would be a great educational tool for my son. He loves learning. Can I be totally and insanely honest? I want this sucker for potty training. Maybe if I can find something to hold my 2 year old daughter’s interest while on the potty I will never walk into her room to find horror-movie inspired poo smears on every surface. I want to win this so I can fire my little Poocasso. I’d love to win this leap pad 2 for my grandson. Thanks for doing this giveaway, some child will be very blessed! We own leapster2 and Explorer. between 2 toddlers always fighting over their games, it would be fun and educational to get them this one as well. thanks for the contest. I would love this because everybody is more into the technology now a days and it’s a great learning toy that lets the kids have fun BUT teaches them at the same time! Thanks for the giveaway! My girls love my tablet, and I think this would be a great alternative to them trying to steal what I need to be using! 🙂 Lots of their little friends have them so I know it would be a hit! We are in the days of learning through technology and my little girl is so smart at using it already. I’d love for get to have something besides my phone to learn by! I would love to win the leappad2 for my kiddos. We are big fans of leapfrog, fun and learning combined in one. Aww, my little bubs is always stealing the big girl’s DS, so he would love a little leappad of his own! Thanks for the chance to win! My boys love two things : video games and Leap Stuff. I love the videos as they’ve helped my boys out a lot. My kiddos would LOVE to play/learn with this. What a great giveaway! I would love a LeapPad to play with my granddaughter! I would love to have this game for two reasons – and they have names : Alison and Nathan. They would love and probably fight over this, but what a great opportunity to learn how to share! I have always loved Leapfrog and the education that they provide in a toy. I would love this for my son, his sister has a DSI, but he is not quite old enough for one yet. This would be perfect for him. My girls have Leapsters and this would be a fun transition and something more age appropriate for them. I would want this so my 2 year old can be the smartest kid in nursery. Not that there is ever a competition for things like that…. I shared this on facebook. I’m awesome like that. My kids would love this! and I was hoping that it would be a good tool to help with learning letter, shapes, and colors! My daughter would love the leap pad 2. She is so smart and curious for her age I think she would be a lot like your son, learning to spell her name at the age of 2. It would be such an amazing opportunity to win one! Thanks for considering us 🙂 I hope we win! Shared on fb as well 🙂 I love your blog by the way! I’d love to win this! My 3 year NEEDS THIS!!!! LeapPad is an amazing line of educational products! I cannot even begin to say how much the LeapPad2 would be appreciated by my 3 yr old granddaughter that is a sponge when it comes to learning. She is more adept at navigating through my kindle fire than I. Thank you for a fabulous giveaway! My oldest is 5 and on the Autism spectrum. He wants one of these so bad. We cut our cable because of $ and I have to prescreen everything he watches. I would love to bring one of these home to him. Then I would not have to worry about him not understanding what he is seeing or repeating something he shouldn’t. Leapfrog is amazing! We love the videos. A LeapPad would be over the top. It would be more than I could get him. I’ve never entered a single giveaway before. Ever! And here I am doing it, finally. Although with all the others entering it I know I have no chance. I was really contemplating getting one of these last Christmas but they were sold out and it was over budget anyway so it was okay. Is there anything else I need to do besides comment? I “like” you on FB already. What a great review. I might just purchase this anyway for my neice and nephew. They are at the perfect age for this device. I am amazed at your family’s results. Thanks. My girls would be in heaven!! I have always been a lover of Leapfrog products and this one is certainly no different. I like that while my kids think they are just “playing a game”, they are actually learning. My fingers are crossed!! The Leap Pad2 would jump right to my oldest grandchild, an almost-four-year-old! Oh, my 2 year old granddaughter would love a LeapPad2! It could really give her a jump start in school readiness. Thanks for the giveaway! this would be FANTASTIC!!! I have three little boys and they’d ALL love it to entertain them when a new sibling arrives in a few months. LOL! I posted about this on FB!!! Why would I love a Leappad2? 5 boys aged 7 and under – that’s why 🙂 They would all be so excited about it!!!! I would love way to teach her to things in a fun way while waiting places or just away from home. I’d love my five year old to be entertained by something other than video games! I would love to win this to use with my special education class. I have a two year old and I would love to have one for him. Why I would love to win this leappad 2. So my children stop fighting over the one we have. My 5 year old got one for his birthday and will not let it out of his sight, which makes my little girl (age 2) very upset because she wants to learn too! having another will make for very quiet car rides and happier children which equals a happier me! 🙂 And everyone wants a happier me, right? Oh I really hope I win! My daughter has the original Leappad and I give it two thumbs up! I’d love to win this for my 4 yr old. She loves to learn and I think this would be great for her! I’d love a leappad 2 because Mackenzie already loves her other leapfrog products. We love their alphabet and number movies on Netflix. I’ve also only heard amazing things about leapfrog from other mom friends. I think it would be a great learning toy to add to her other toys. It’s fun, educational, and entertaining! With my family traveling the huge state of Wyoming helping my husband campaign, we need something that will keep the kids distracted from the long drives. Would so love to win this great giveaway! Thanks for the opportunity! 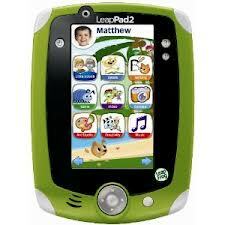 I would love to win a Leappad2 because I have a long list of dear nieces and nephews and Christmas is drawing close. I love that kids play games and don’t even realize what they are learning. My almost 3 year old played with his cousin’s LeapPad2 this past summer and came away know most of his letters – after playing it maybe 3 times for about 20 minutes! He would love one of his own! We would love a change to win the LeapPad 2!!! My DD’s BFF’s little boy is very active. I think he would sit still to play w/ this as he LOVES to learn. She is a FT student/single mom so she does NOT have a lot of $$ & this would be a GREAT gift for his upcoming Birthday!! I would be thrilled to have this for my kids, who are 5, 4, and almost 3. I love that this is a product they could ALL use to learn and play! They don’t have anything like this at all, the technology it has is amazing. The only problem we’d have is sharing, lol! I shared a link to this contest on my facebook page. I love all the educational games but my kids would love the camera. We have the original leappad and my girls use it every day. I would LOVE a LeapPad2 for my 4 year old daughter (and 20m old son) they both loved playing w/ our kindle fire but it broke and we would really like to have one of these wonderful learning tools! I would LOVE to win this because I have wanted to get my daughter one for forever now!!!! I love their products!!! I would LOVE a leap pad for my daughter who is almost 3.. I’m excited that it is solo educational and makes learning fun… That is good for a lifetime of learning. I woudl love to win a Leappad2 so I can give it to my kids. Then maybe I will get my iPad back! I would LOVE to win this for my daughter… my son has the leapster and learned a lot from it. I would love this for my 3 yr old son, he would absolutely play with this forever and ever! We would love one for my 3 and 5 year olds. It would help my 3 year old stay active while I am feeding our baby and big sister is at school. Thanks for the opportunity! I’d love to win this because be daughter has been asking for one. Thank you for the giveaway! This looks amazing…my son would LOVE this! My son would love this-maybe he’d stop stealing my kindle to play games! My son would LOVE this. HE loves playing games. I would LOVE to have a LeapPad2. I have three boys (ages 6,4 &2) and I know that they would have tons of fun with it! shared! would love to win for my twins!!! Thanks!! I would love to win this for my 3 year old daughter. She won’t leave my Iphone alone & we’ve been looking at these so she can have something similar of her own. Plus I’m due with baby #2 any day now & this would be amazing to keep her occupied when I’m busy with the baby. I’d love a leappad2 for my three year old daughter, she loves to learn and has such a great memory! I have three young kids and they all love technology and games. We are in the car frequently and having a LeapPad2 would help make the time pass more quietly and smoothly while learning along the way. This will be perfect for my three little children so they don’t have to fight over my phone to play games. This would be so fun to have for my grandson! He is 2-1/2; he’d be entertained and also could learn a lot. Thanks for the giveaway! My 2 year old daughter always steals my husband’s iPad. I would love to win this for her!